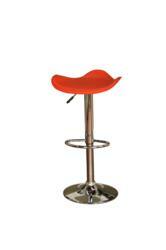 Cheap Bar Stools Study to be Released Soon by Bar Stools For Less, Inc.
A study on cheap bar stools and where to find them soon to be released by Bar Stools for Less, Inc. Customers who received an early preview have commented positively. Barstoolsforless.com is soon to release a study on cheap bar stools, including where to find them, how to select them, and other factors to take into account when choosing a bar stool. Leigh Ann Silver, a customer of the company, when asked about the study said, “I’ve been a customer of the site for years, so when they asked me to review their cheap bar stools study I jumped at the chance. I found it really interesting all the factors to consider when choosing affordable kitchen furniture, like a bar stool." Factors influencing the cost of a bar stool are where its being shipped from, where its made, the quality of manufacture, as well as the nature of the store the customer is purchasing from, i.e. does it drop ship or keep inventory itself. For a copy of the report when its released, visit http://www.barstoolsforless.com.